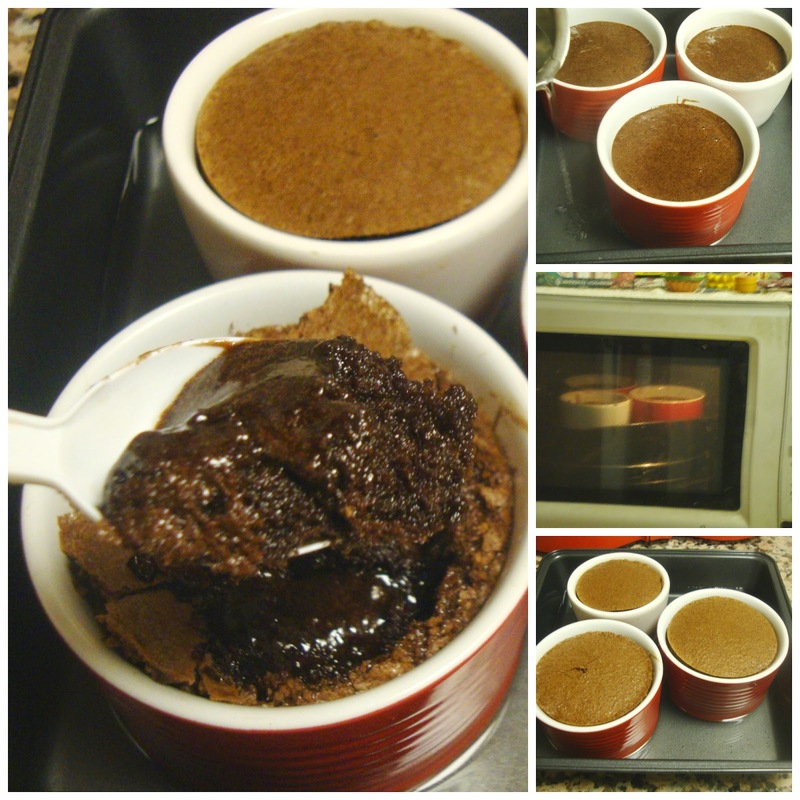 Here is my baked Chocolate / Brownie Pudding for January month's Home Baker's Challenge. Rafeeda AR of Big Sweet Tooth who is hosting this month's challenge has given many varieties of baked pudding recipes. I have selected the one with chocolate as my kids love that very much! This delicious pudding is easy to prepare, using common pantry ingredients and perfect to treat your loved ones! I have adapted the recipe from here. Thanks to Priya Suresh for starting the group. To know more about Home Baker's Challenge click, here. A large shallow baking tin to keep the bowls. Preheat oven to 200 deg C and prepare your ramekins or oven proof bowls (grease with butter / oil) ; keep aside. In a separate bowl, beat the eggs, vanilla essence and caster sugar (powdered); until light and fluffy. Stir the in flour and add chocolate butter mixture; mix until combined. Divide the batter into the prepared ramekins or bowls and place it in a larger baking pan. Add hot water to the pan to come halfway up the side of the dish and bake on preheated oven at 200 deg. C for 40 to 45 minutes. The center will appear very gooey and this dessert is a combination of brownie and pudding. If you are using cocoa powder instead of cooking chocolate; add it along with flour. Leftovers can store in the refrigerator for up to 3 days. Wat a terrific dessert na, prefect treat for chocoholic peoples like me.